The Solar Eliminator came about after a board in a sock or cloth board cover was left in the sun on a 30 degree day for 1 hour. It was so hot inside it almost burnt my hand, the board was cooking! I decided to to get 3 thermometers and 3 board bags, a cloth cover, a standard 5 mm vinyl cover and a 5 mm vinyl cover that I had stuck a thin layer of reflective roof insulating paper onto. Boards and thermoters were inserted in each cover and then placed in the sun. The outside temp was 25 degrees, after half an hour the covers were opened, the cloth cover temp showed 35 degrees, the 5 mm vinyl covers temp was off the scale 50 degrees plus and cooking, the reflective cover rose to a cool 28 degrees. Excessive heat is the worst thing for your surfboard, over the years we have seen unbelievable results of bad foam mixes and heat where boards shrink away to potato chip thickness. A lot of the imported boards use blanks that aren’t always as consistently made. 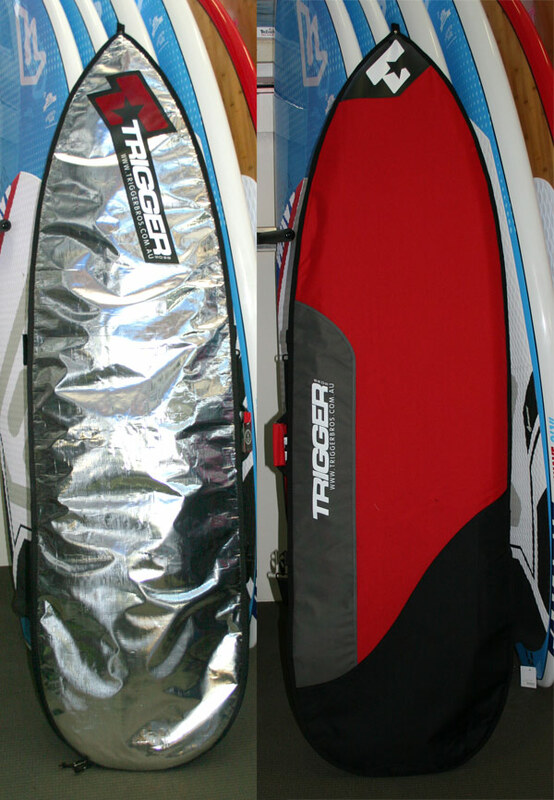 Even the best foam will rise like a cake either side of the stringer if left in extreme temperatures. 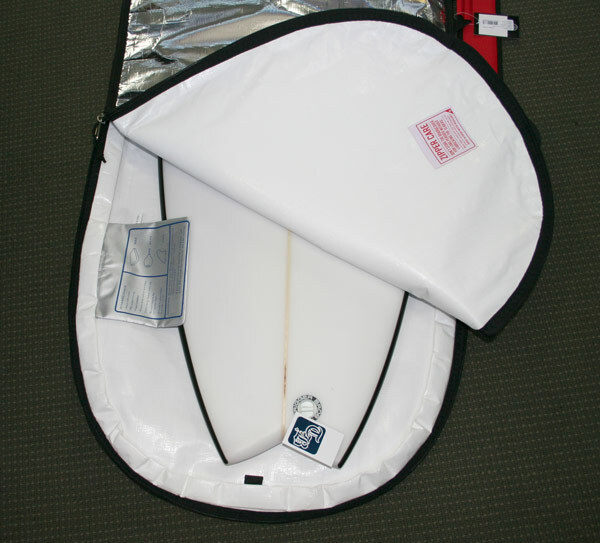 The Solar Eliminator cover is the next best place for your board other than having it in the water.